Are you looking for Purchase Order (PO) Contract? Check out this Purchase Order Contract now to improve your procurement operations to purchase goods! Our trustworthy PO template is crafted and screened by procurement professionals. The 3 step process virtually guarantees you can finish and print your PO in minutes! Download our Purchase Order Contract template directly, fill-in the blanks, and send it to your suppliers...done! 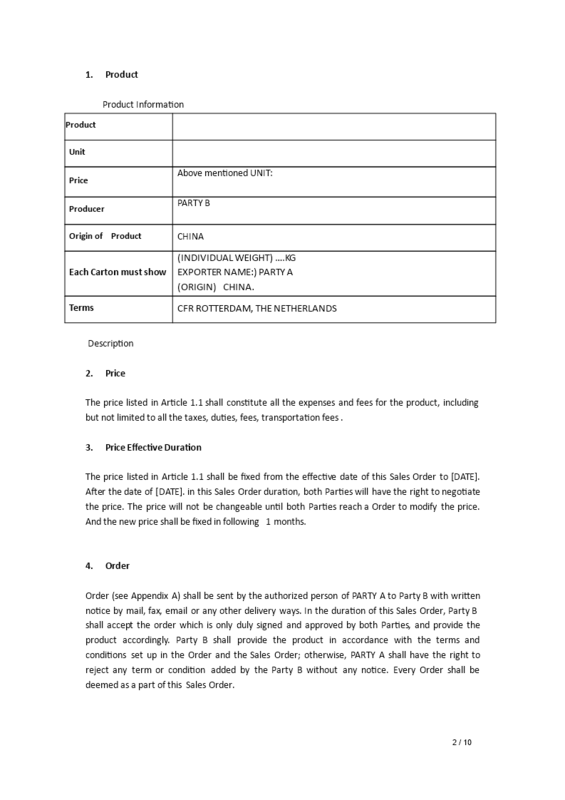 If you need a bilingual Chinese and English Purchase Order Contract, we recommend the following Purchase Contract Chinese language template.